What is a Stitch Marker in Crochet? Hey guys! So today I’ll be going over yet another useful tool you will run into when starting to crochet. This isn’t a tool you’ll need for every project, and may not encounter at the beginning of your learning but it all depends on what you start with, and it is still good to be familiar with all the available tools! In this post, I’ll go over what a stitch marker is, how to use it, when to use it, and more! Everything you’ll need to know about a stitch marker! Plus, I will also give a recommendation on my personal favorite ones to use, so keep reading for that one! What is a stitch marker? So the first question you might have is what even IS a stitch marker? It’s a pretty simple definition really…. it marks your stitches. Okay, just kidding, that’s not all I’m going to give you, hah! But, essentially it is that simple. You’re marking your place in a round so that you know when to start the next one. How do I use a stitch marker? Explaining what a stitch marker is can be a little confusing without explaining what it actually does. And, unless you want to sit there and remember your stitch count when following the pattern (I don’t! Horrible memory here!) You can place a stitch marker in the very first stitch so you know when the round is completed and you can move on to the next one. Confused? Maybe pictures will help because even I got confused with that explanation! Hah. So, round one of my bear (the pattern is not mine sadly, or I’d post the pattern for the bears!) Calls for a loop with 6 single crochet. Like the photo has shown above. The second round calls for 2 double crochet in each stitch. Maybe you won’t need a stitch marker to remember 6 stitches, but it gets harder (and bigger) as it goes along. But for the purpose of this demonstration, let’s say you need it. Then you simply just pull on one side of the yarn (the stitch marker) and place it in front of your last stitch again, as we did before! Keep repeating this process until you are done with your work! No more counting each stitch or losing count because people are talking to you! What type of stitch makers are there to buy? 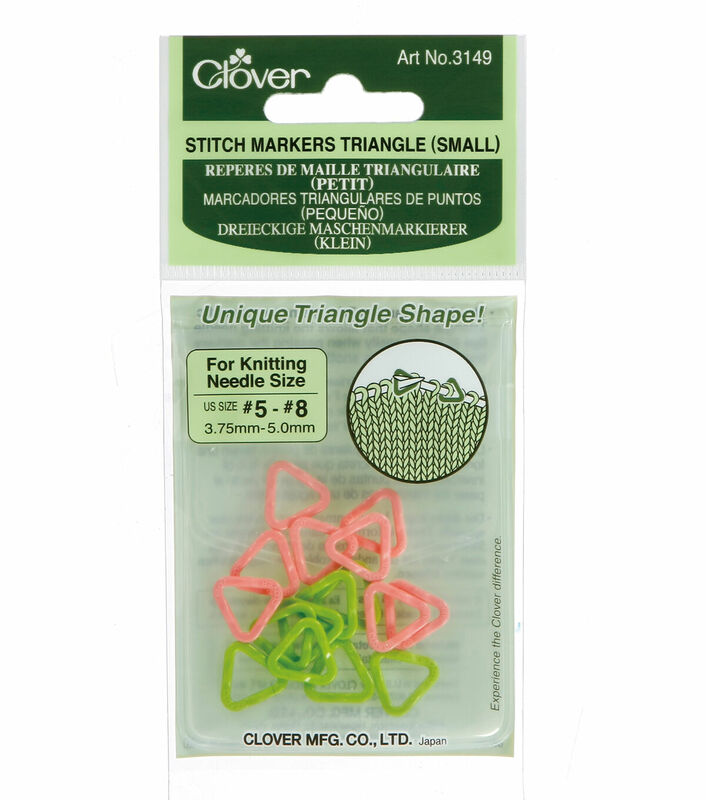 You can usually find plastic stitch markers in the store, and they will look like one of these. All of these are really good stitch markers and I recommend them all! Want to purchase one of them? Click on the picture and it will take you right to JoAnn’s website so you can buy them for your own projects! What if I don’t want to buy one? Can I use something else? The short answer is.. Yes! You 100% don’t need to buy a stitch marker (Although it will make it easier!) 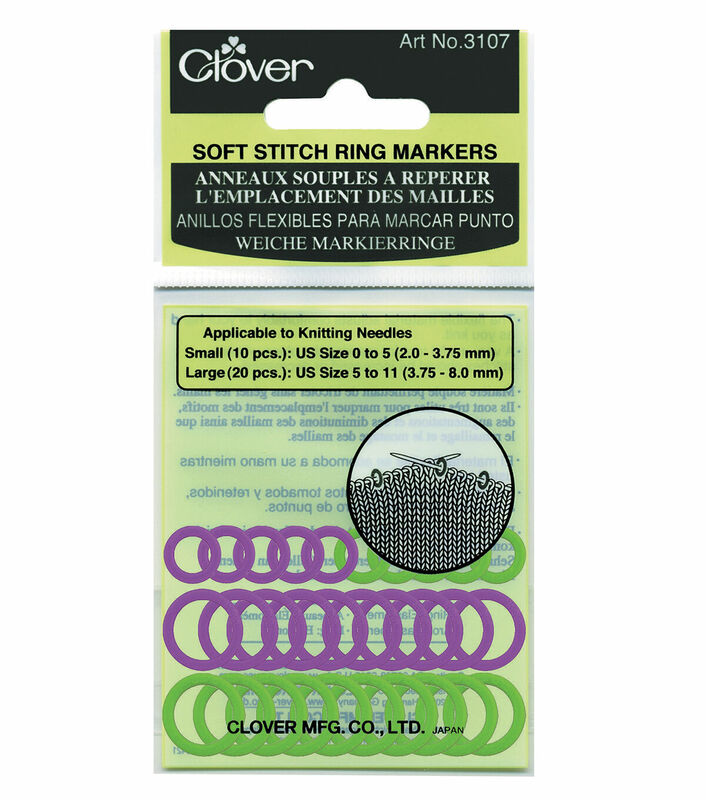 Below, I’ll go over everything I can think of that can be used in place of a stitch marker. In the past, I have run into the problem of accidentally pulling out my stitch marker! Because it isn’t locked into place like an actual stitch marker would be, it is very easy when you are working quickly and/or just starting your project when it is small to accidentally pull out your string and lose your place! I’ve learned the hard way not to do this. I couldn’t figure out where I had pulled the string from or where the rows ended and I had to frog all of my work! So, while this is the method I use most often, it can have its issues! Now, while this method won’t work with your smaller projects like the one I’ve shown above, it can work in other ways. I’ve used this method before when I first started to learn how to crochet a granny square. I didn’t know when I needed to start the next row, so what I did was place a chip clip on the corner so I’d know when I came back around that I’d be starting a new row there! It made it a lot easier for me. A wooden clothespin or a chip clip are, obviously, big and bulky when it comes to your smaller crochet work, so of course, this method won’t work for every project. And because it is heavier, it is going to weigh down one side of your work! 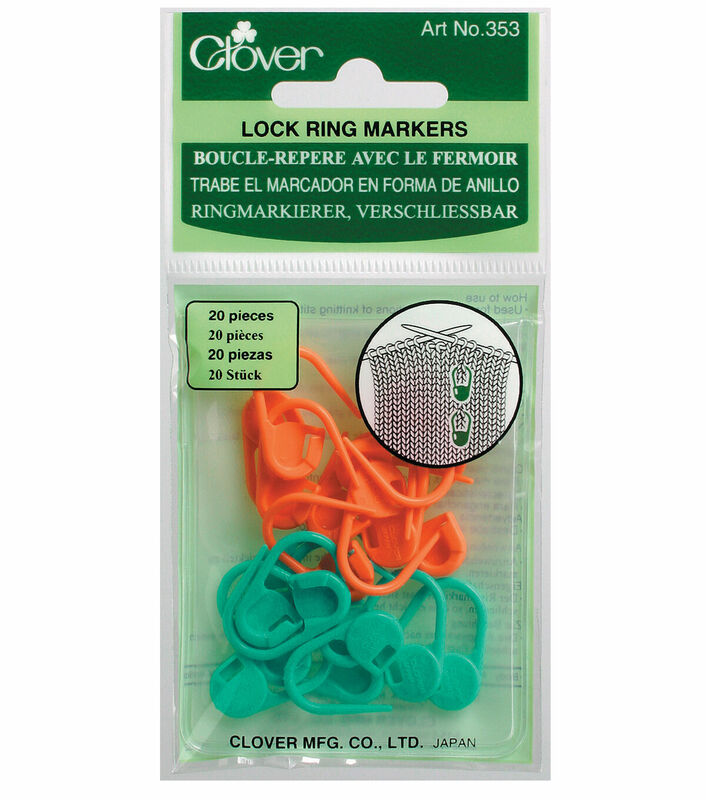 This is a smaller alternative to the chip clip and a bigger alternative to the plastic ones I recommended above. This method works pretty well, I have tried it myself but not on the smaller projects I did above so I’m not sure if it will get in the way or not, but I think it would be fine! As mentioned above, I haven’t personally tried it with the bears I showed above so I’m not sure it will be small enough to not get in the way of your crochet! Again, never used this method before so the bobby pin may get in the way but I don’t think it will since you will be pushing this to the outside of your work. It also may come out since it isn’t fully pinned around your work but this will be harder to pull out than the string method, so you should be fine there as well. The only other disadvantage I can think of with this method is you use these for your hair so won’t have as many if you use them for your crochet, and I lose these like nobody’s business, so who knows if you’ll always have one available! Hah. I think that’s just about everything I can think of in terms of a stitch marker! As I mentioned, I recommend one of the three plastic stitch markers above. I was a bit of a stickler when I first saw them myself. Spend money on a marker for your work? Can’t I just use any old item?! And, while you could do that (I did for a long time!) It makes it so much easier if you buy one because they are actually designed for the specific purpose of marking your place! Trust me, if you’re going to use it all the time, spend a little money and make your life easier! Next Post What is a Crochet Guage and Why is it Important?